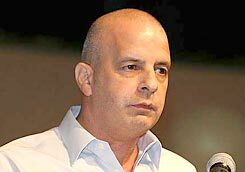 Channel 10 TV reported today on a rare event where the Head of Israel’s Security Services, Yuval Diskin, spoke. The man who is normally considered one of the most secretive, reserved and guarded people in the country (for obvious reasons), spoke to a group of young settlers about to join the army. In the very frank discussion he speaks in length and details some of his feelings and personal opinions of current events in Israel. I will try to keep true to his words, that personally, I found to be straight forward and truthful regardless of what the fallout will be tomorrow. He talked about the inequality towards the Arab population in the country. The treatment by the courts of Jewish settlers and rioters have been with preferential to say the least and that when comparing Arab and Jewish treatment there is, he feels, an injustice towards the Arab population. This includes Israeli Arabs carrying Israeli identity cards. About the one sided withdrawal from the West Bank and Gaza. He feels that unless there is a political body on the Palestinian side that can represent and control the population, any one sided pullout is a mistake. This is where we expect the fallout to take place tomorrow. He also discussed the “rip” in the Israeli social fragment. The fact that we are entering the elections period is causing the political leadership to tip toe around the issues and not deal with the settlers and the tear in the nation. About Jewish terrorism and the “Jewish Unit” he talks about a relatively small unit (laughable) meant to deal with the Jewish extremists. He feels that Jewish terror is by far worse then any kind of Hamas or other forms of terror and calls it a Cancer for the state of Israel. He also warns that he will treat any Jewish terror and unlawful attacks on Arabs with the same severity as he treats terror attacks by Palestinian terror organizations. He also crticizes the process called “Seperation” (Hitnatkut) as opposed to the more icky but real term he calls “Uprooting” (Akira). This is what the process is and that’s what it should be called. It is the yanking of these settlements from the ground and we should call it what it is. In a pre election environment these words will resonate and bring about a flurry of comments and demands for resignation from the bottom feeders. So to avoid the rush I just want to day, well spoken and thank you for a breath of fresh air. I needed that. evaluation,not many people realy see the right picture there.